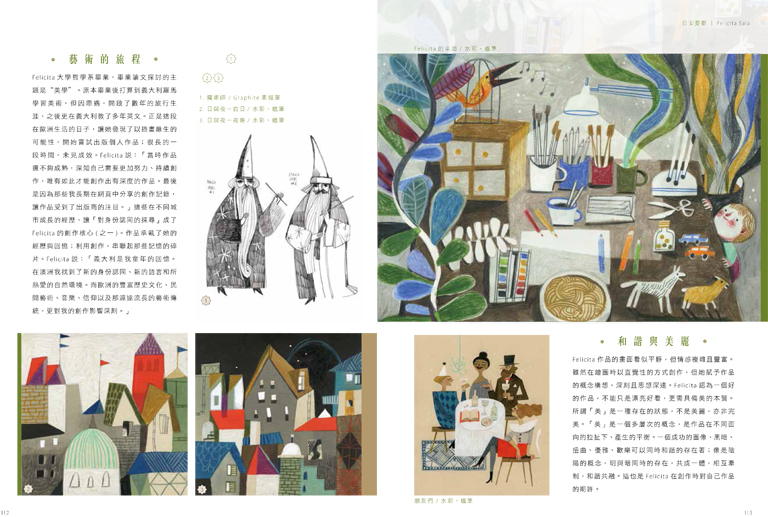 I recently had the pleasure of being featured in taiwan's DPI magazine, in what ended up being a 4 page interview/spread (!!) and where one of my illustrations even made the front cover. here is the interview in english. I hope my experience can encourage young illustrators, struggling in what is an overwhelming world of images. Dpi: You studied philosophy at university. How did you start your artistic journey and become an illustrator? When did you become interested in art? F: I have always been interested in art. My father had a natural talent in drawing which he never really explored, but he encouraged us to do so. My Honours thesis was in Aesthetics. I planned to move back to Italy after University and start another course of study at the academy of fine arts of Rome, but life took me elsewhere. I travelled for a few years and in that time I realized I didn't want to continue with academia, but I didn't know how it was possible to make art for a living. So I taught English for many years after moving back to Italy. 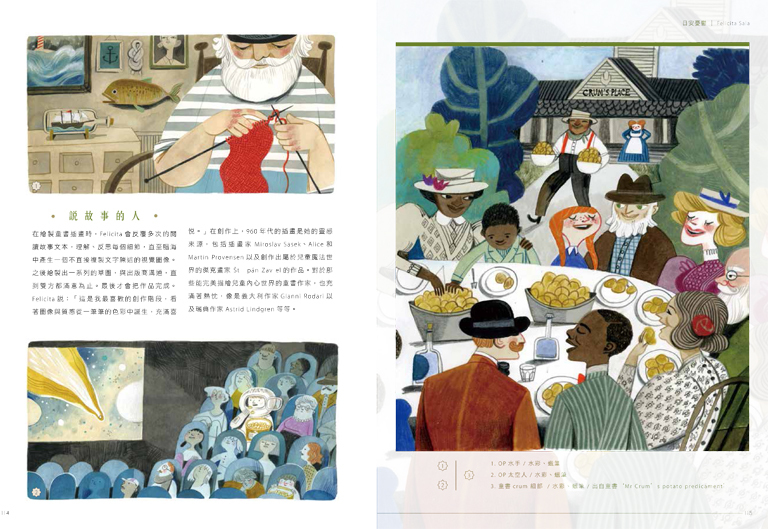 It was here in Europe that I discovered picture book illustration was an art form, and it could also be a job. So I tried hard to get my work seen by publishers, for years, with little result. My style was immature and I needed to work harder to reach an identity that had meaning. 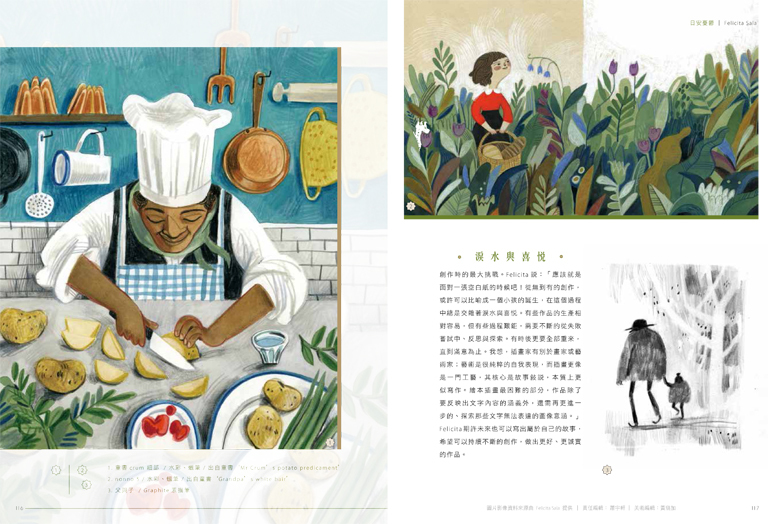 I think it was thanks to my documenting those efforts on my blog over the years, that eventually publishers started to notice the work, and then my agent (Kirsten Hall of Catbird), thanks to whom I now work as an illustrator full time. It was an unplanned surprise in life, for me to be able to do this. Dpi: What's your drawing philosophy? F: I don't think I have a philosophy when it comes to drawing. It's very much an instinctive process. Perhaps the question means what makes a successful image for me. I think art is very much about coherence and beauty and that's what I try to obtain in the finished image. And by beauty I don't mean perfect and pretty pictures, but a balance of opposing forces: the dark, the crooked, the harmonious, the joyful. It's like the yin and yang I suppose, in Chinese culture. If one is absent, the whole is lacking somewhat. Dpi: You have been living in different countries. Can you share with us about your journeys? Did those journeys inspire your work? How? F: I think the main thing that translates to my work is the constant search for identity which comes from having grown up in two different cultures. We are composites of our lived experience and everything contributes to forming us as people, the good and the bad and the contradictory. For me the real journey was the artistic one: finding coherence between all those fragments. From Italy there is the element of my childhood, of origins and family and land. From Australia there is the element of adapting to a new identity, of language, of fitting in, of openness and wide natural spaces. From Europe in general there is the element of history, of the layers of old and new that coexist here: of folk art, of music, of faith, of a long tradition of art which permeates children's book illustration all across the continent, which has had a tremendous influence on me. Dpi: Among all of your works, which part is the most challenging ever to you? F: The most challenging part of my work as an illustrator is the white page. The very beginning of the creation of an image is like a birth, and no birth is without sweat and tears. Some images are born more easily than others, but some require a more arduous process of trial and error and must be reflected upon and destroyed various times before they feel right. Dpi: I feel very intimate and a little bit melancholy (in a good way) when looking at your work. Can you describe your illustrative approach and style? F: Many people have said this about my work, that it is melancholic or nostalgic. I think it relates to the question of identity from before. We bring our identity in the work, which is our life fragments, and there is always in my identity as an illustrator a nostalgia for the past. Dpi: I am curious about your creative process. Can you talk about it? How do you start the process of making work? F: My work today is mainly making picture books, which is different from the work of a painter or an artist, who creates for the sake of creating, as a pure expression of self. Illustration is closer to a craft. The heart of the work is to tell a story which is instrinsically linked to a written story, but which must also enrich it and go beyond it. 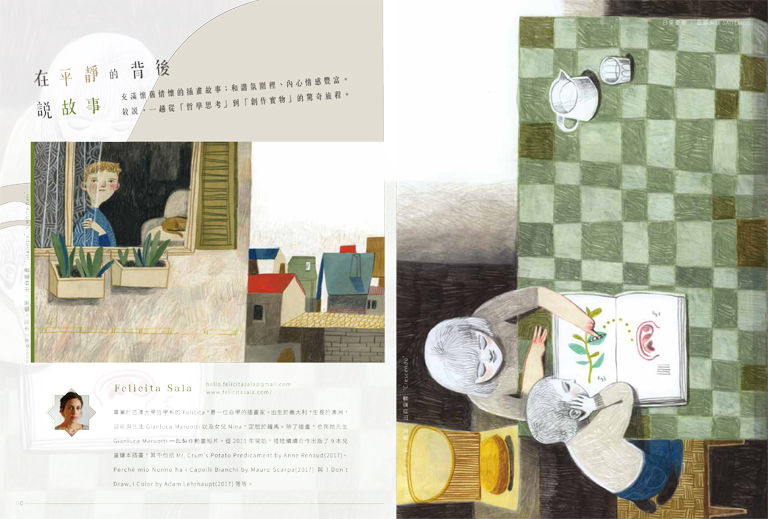 This is the hardest part of making a picture book: speaking beyond the written text. I start by reading the story many times and reflecting on each part until I get a mental image of how to best illustrate the concept in a way that is not didactic or banal. Then there are a series of sketches which are created, and once both illustrator and publisher are happy, I proceed to the finished image. This is the most fun, where texture and light and playfulness will emerge with the use of colour. Dpi: What are some major influences on your work? Who inspired you? F: byzantine iconography, modern artists such as Picasso, Klee, Schiele, then Twombly, Chagall, Hundertwasser. But aslo music: Yiddish songs and flamenco and folk from all around the world. I have a huge debt with 1960s illustration, particularly the work of Miroslav Sasek, Alice and Martin Provensen, and with the Czech painter Štěpán Zavřel who made magical worlds for children. I am also constantly inspired by writers for children who are perfectly in tune with the inner workings of the child: Gianni Rodari and Astrid Lindgren to name a few. Dpi: What would you like to do next? F: I would like to write my own stories one day, but my standards are very high and I have not yet matured as a children's writer, which is one of the hardest jobs to do. perhaps it will happen when I am 80, perhaps never! I certainly hope to be able to do this job for a long time, and to do it better and with honesty. An inspiring and informative read, Felicita! Thanks for sharing in English too! Karachi escorts This has been our truism as far back as we came into the retaliation and this has been the inspiration driving why we can readily express that we have fabricated a strong bond with our administration availers. This is the thing that our clients expected to share for Escorts in Karachi. Escorts in Karachi Regardless of the way that it would seem like we are bragging a touch, yet our clients have inside and out savored the experience of with our Karachi top escorts. Your Illustration are awesome. I run a slimier blog BeOnTrack. 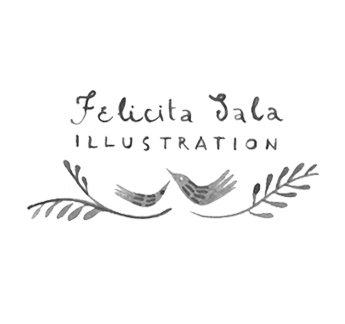 may I use your illustrations with credits? keep up the amazing work. You have earned yourself a regular reader. SHE MADE A MONSTER selected as New York Times Best Illustrated Children’s Book of 2018!!!!! !